Part of the benefit of holiday is noticing things that aren’t working, but we kept doing because they were a habit. And let’s be honest, it is often much harder work to make a change than to continue with something that’s not working. When we were a young professional couple, with many church and family commitments, Mr and I used to set aside Monday evenings as our sabbath. It was our down time, a time set aside for the two of us to be at home, share a meal together and chat. We knew that night was sacred space just for us, we didn’t make other arrangements on a Monday. We just intentionally created a time and space to connect. Since having children our sabbath practice has been eroded to the point of being non-existent, so the other day I sent Mr a text saying, “what does sabbath look like for you”? Turns out for both of us, our sabbath has a very different look to years past. For both of us and (thus for our girls) it is family time, which means it needs to be during the day. For both of us it is not needing to be somewhere, no obligations or appointments. So last Saturday was our first intentional sabbath in a long while. We got up slowly, made French toast, put up photos and pictures that we have been meaning to do for a while, played with the girls, drove to the beach for afternoon tea and a walk. All very boring, nothing decided in advance, rather small decisions as the day unfolded. But so very, very important for our family. The sabbath feeling extended into Sunday (a day when we do have obligations and commitments) and the benefit was tangible. So this Friday as I type, I anticipate tomorrow, a day we have intentionally set aside. We have no plans, and I am really, really looking forward to it. 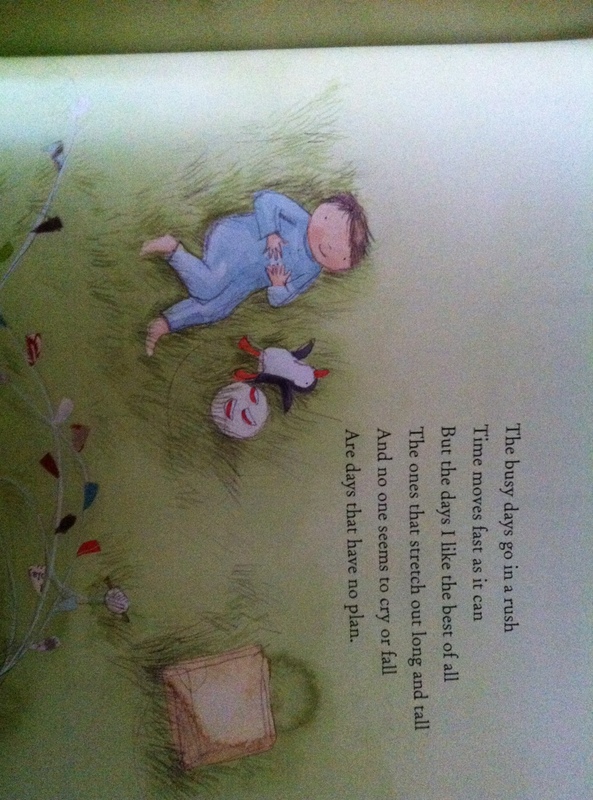 Image from “Today we have NO PLANS” by Jane Godwin and Anna Walker – one of our girls much loved books.